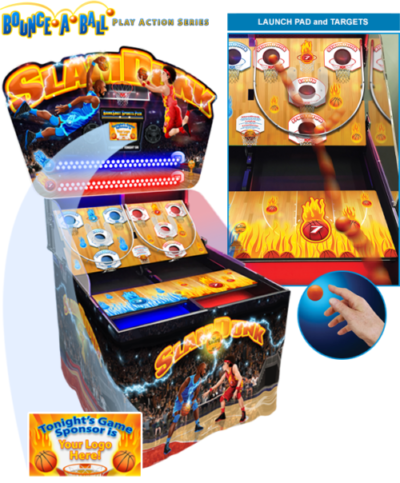 This awesome new arcade game rental is fantastic for any event and any players-basketball fans or not! 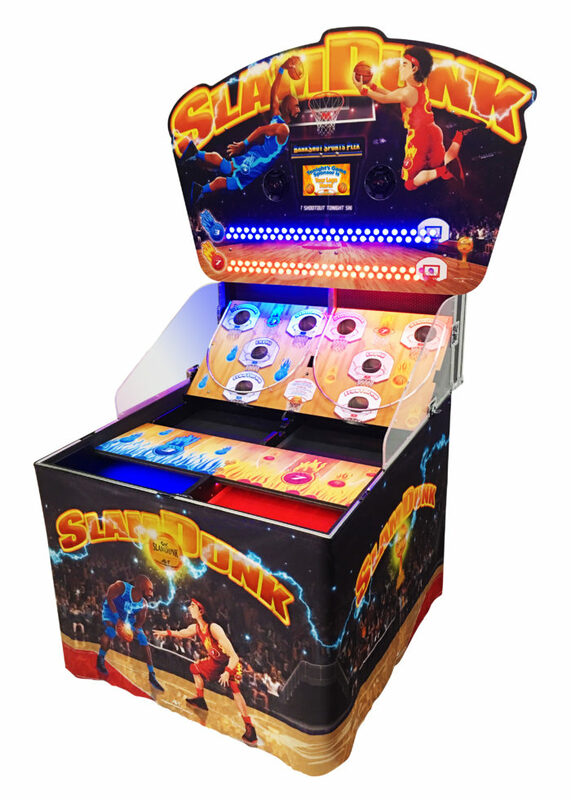 The Slam Dunk game is played by bouncing the ball on the “court” and into the “hoops” to score points. There are 3 point levels; Free Throw for 1 point, Layup for 2 points and Slam Dunk for 3 points. 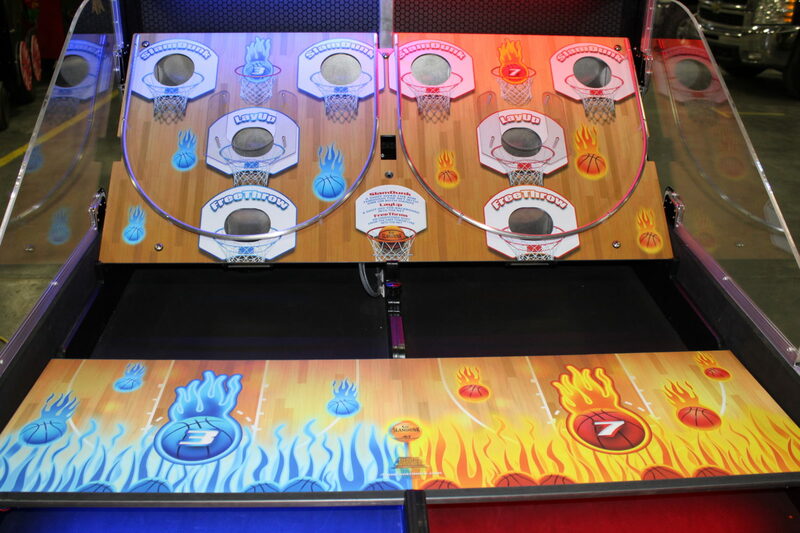 As the balls go into the “hoops,” points are earned and reflected on the score board in red or blue reflecting the red or blue player. The first player to light up the board wins! 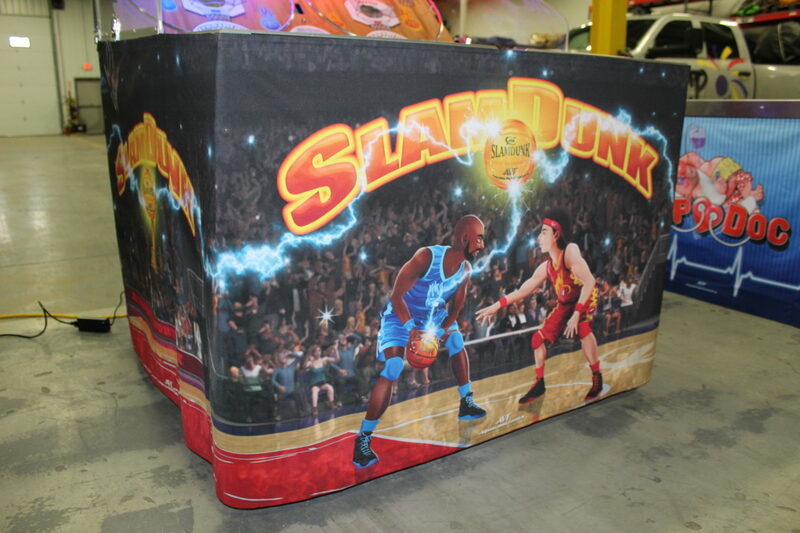 Click Here to see a video of the Slam Dunk game in action!